 Austin Christian Fellowship of India (ACFI) is a non-denominational church comprised of congregation members from all parts of India and welcomes people from all nationalities to worship with us. Weekly church service is conducted on Sunday mornings. Our staff here is a special group of people functioning as both team and family on mission together. We are a body of men, women and children, who first ADORE and worship God, are CHRIST  centered, FOCUSED in the irrevocable calling of the Great Commission given to us by Jesus Christ, and are INTERCESSORY in the reconciliatory mission of restoring the relationship of man to God, until the return of Jesus Christ to reign. The following positions are currently available below. If you are interested in other ministries, the best way to get involved is to volunteer and serve in one of the many ministries that ACFI has to offer. The Austin Christian Fellowship of India church is looking for a committed full time Senior Pastor who has a personal testimony of salvation by faith in the saving grace of our Lord and Savior Jesus Christ. He must demonstrate Biblical character traits and have a Christ-like attitude of humility and service with a proven ability to grow the church and to expand its ministries. He must agree with the Statement of Faith and the core values of the church. Be a visionary and champion of the mission and vision of the church through effective Biblical preaching, teaching and overseeing the affairs of the church. The primary responsibility of the Senior Pastor is to glorify God through the preaching and teaching of the word of God (Holy Bible), and provide Biblical leadership by shepherding the body of Christ to love and follow Jesus Christ, leading prayer and fellowship meetings, and equipping the saints to do the work of God through the various ministries of the church (Acts 6, 1 Peter 5, Ephesians 4). The expected working hours for the Senior Pastor is 40 hours per week. Compensation and benefits will commensurate with experience.